Charisse has danced professionally for TV commercials, fashion parades, opening ceremonies and corporate shows, choreographed for The Veronica's, Jessica Mauboy, the WA Youth Awards, StyleAid, Gold Plate Awards, Telethon, primary & high school performances, summer camps in New York and adjudicated festivals, talent shows and break competitions. Her training in Jazz, Contemporary, Hip Hop, Tap and Ballet includes the Contemporary Dance Centre (Perth), Broadway Dance Centre (New York) and Pineapple Studios (London). 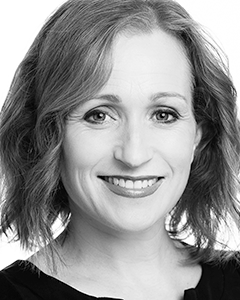 Charisse holds a Bachelor of Arts (Marketing and the Media), a Diploma of Education (Primary Teaching) and has won state-wide awards in recognition of the highly successful dance program she coordinated at Rossmoyne Senior High School from 2002-2006. As well as directing TDC, Charisse has lectured at the Western Australian Academy of Performing Arts and the University of Western Australia, written for the Curriculum Council, delivered professional development workshops for teachers across WA and worked as a TEE marker and consultant for the Department of Education & Training. In 2011, Charisse was nominated for Australian of the Year – Local Hero Award and in 2012 the Western Australian of the Year “Community Category” for creating The Dance Collective as “a safe haven and an outlet; a place where young people can go to escape the stressors that early life can bring and transform it into something positive in a physical, psychological and social sense” (Weng Ho, Rio Tinto, nominee).